As people like Kent have consistently attested, the top choice for appliance repair in Lincoln is clear. Andy’s Appliance Repair & Parts House handles all kinds of major appliance repair needs no matter the age or condition of the domestic appliance in question. From built-in coffee makers, ice maker repairs, emergency refrigerator repair, small appliance repair, and dryer repair to dishwasher repair, we’ve got you covered with a wealth of experience and knowledge that contributes to setting us apart from any other Lincoln appliance service center. If you are looking for an appliance repair clinic in Lincoln, there is one choice that stands above the rest. Keep reading to find out why. Since 1971, we’ve been providing the good folks of Lincoln and beyond with affordable appliance repair. You may have heard us say it before, but having 45 years of experience should not be looked at as any sort of coincidence. On the contrary, we believe it speaks to our commitment to understanding what makes a quality appliance repair company. We will never claim to be perfect, but what we will claim to do is to do our best every single day on the job, because that can mean the difference between you waiting a few days for your replacement Whirlpool refrigerator part to come in rather than getting your refrigerator fixed on the same day that you called in the issue. While we can describe our commitment to excellence at length, it is better to show our prospective clients rather than simply telling you. 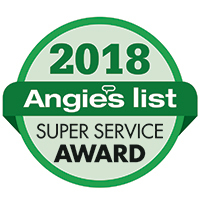 In 2016, we received Angie’s List Super Service Award for high-quality service in our appliance repair industry. 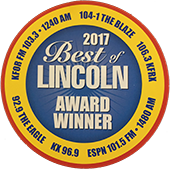 We also were recognized by Lincoln’s Business Hall of Fame, winning Best of 2017 in Appliance Repair! 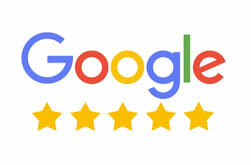 These recognitions mean quite a bit to us, because it speaks to our consistently high standards. 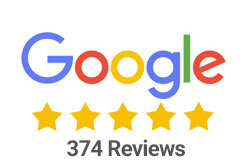 As Kent Pavelka put it in his five-star review of our Lincoln appliance repair service, “this is an industry which you need to be careful about when searching for good, trustworthy business.” We couldn’t agree more, Kent, which is why we are so proud to be able to point to our own community recognizing us for the trustworthy appliance service we perform. Need us to fix your fridge? That’s no problem at all. Our technicians are factory-trained and certified to make your refrigerator nightmare quickly become a thing of the past. With a wealth of experience on the job and OEM knowledge, we can service pretty much any major refrigerator brand you might have. Whether the unit is old or newer, we can help you out. We will likely be able to get out to your place on the same day that you call, so be prepared to reserve your two-hour timeslot with our staff or when you schedule your appointment online. Read below to read some of the refrigerator brands we service. We also have the largest inventory of appliance repair parts in the entire region. 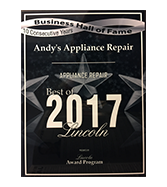 With appliance service centers in both Omaha and Lincoln, you won’t be able to get the replacement refrigerator part you need any faster than when you go with Andy’s Appliance Repair & Parts House. We will efficiently and accurately diagnose your situation to determine if a new part needs to be shipped. We carry laptops with us on all of our service calls to make sure that we can order the necessary appliance part as quickly as possible, so that you can get your life back together, fast. We understand that time matters when you aren’t able to keep dairy in the house or all of your produce is at risk of going bad. That’s why we do our best to provide same day service! Below you’ll find a few examples of major appliance brands and the parts we carry or can order. If you are in Lincoln or thereabouts and are in need of washer repair service or washing machine replacement parts, Andy’s has got you covered. Our routine appliance service call charge is $89, which includes the trip to your home, a thorough diagnosis of the issue and an estimate to fix the appliance repair issue. Keep in mind that all work we do is guaranteed for a full year, parts and labor. If there is a secondary appliance that also could use some work, we will do that second diagnosis for half-off of the regular service call price. Not much is worse than a leaky washing machine, what with the water on the floor and the lack of ability to clean your clothes. Andy’s Appliance Repair can get your washing machine back up and running in no time at all, so give us a call today! Here are a few brands we provide washing machine repair and washer parts for. You might be on to us already. If you are, you probably could guess that electric and gas dryer repair in Lincoln is next up on our laundry list of major appliance types that we can service. We can service any warranty or non-warranty dryer repair issue. As is the case with all appliance types, we are more than likely able to get out to you (assuming you don’t live in the boonies) on the same day that you call. One of the things we do well here is to break down what is happening in simple terms so that you can make an informed decision. Often, it’s difficult to know whether replacing or dryer repair service is the right call, so we help you weigh the pros and cons of each option. You can trust us to walk through this decision with you, rather than to just throw in our biased two cents in to try to make the most we possibly can on each service call. That might make you a bit more money as a business in the short-term, but it’s not a formula for sustainable success. Plus, we love our Lincoln community, so we want to help everyone save money when they can! Here are a few examples of dryer brands we service and provide replacement dryer parts for. Ovens that break are no fun at all. In the winter, that’s even more the case, because it’s the perfect time of the year to bake casseroles, pies, and what have you. As you probably have picked up by now, we are Lincoln’s choice for oven service and replacement oven parts on most every brand out there. Whether it is an old or new oven, we have technicians who have access to the most up-to-date information available. That way, we can get the job done right and provide an accurate estimate, in terms of both time to complete the job and the cost required. When it comes to the actual service call and appointment, allow us to explain what you can expect to occur in a bit more detail. Anytime we enter your home, for an oven repair appointment or otherwise, we will do so taking a “guest mentality” with us. That means our Certified Master Technicians aren’t just one-dimensional beings who only know how to fix things; we get that it isn’t always a fun thing to let a stranger into your home to start banging around in the kitchen or laundry room. We do our best to not add to the already stressful situation. We will behave with respect when we operate in your home, arriving in clean and pressed uniforms in our trademarked Andy’s Appliance Repair vans. Then we will knock on your door, as opposed to ringing your doorbell, which might wake any napping children. Instead of traipsing through your house in our work boots, we put on booties to make sure your home remains in the condition we found it in. We place our appliance repair tools on padded mats so that your floor remains unscathed during the oven service project. Then we get to work, giving you an accurate diagnosis and a competitive estimate to complete all required work. Here are a few examples of brands of ovens we provide service and oven parts for. Searching for “stovetop repair near me” on your smartphone? Well, you don’t have to anymore, because Andy’s Appliance Repair are specialists at exactly that. Whether you call it a cooktop, a stove, a range, or something else, we can handle it with affordable appliance repair. Our Master Certified Technicians have many years of combined experience, so no matter the brand or age of your stovetop, we will be able to provide you with a solution you’ll be pleased with. We make a point to make all knowledge shared knowledge, which means we take what we learn from each repair session and clue each other in on it so we can better ourselves as a Lincoln appliance repair company. Below you’ll find a range of stovetop brand examples that we are capable of repairing. The last major kitchen appliance we would like to highlight is dishwasher repair in Lincoln. Andy’s Appliance Repair is skilled in providing you with a quote and that is understandable, so that you are able to make the best decision for you and your family. We have thousands of parts at our disposal, and that makes us capable of getting your dishwasher problem solved much more quickly than our competition. The difference between waiting a day or two and a week or so for the correct dishwasher part can make a big difference to your stress levels. It also means you won’t have to do the dishes by hand for over a week, which is nothing to turn your nose up at. 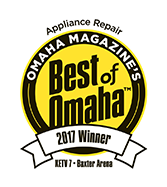 Our nationally recognized and certified appliance center aids in setting us apart as the top appliance repair clinic in Lincoln. Our appliance repair company has a culture of providing exceptional customer service with a commitment to excellence. That means you can rest easy when you choose Andy’s Appliance Repair because it means you’ll be getting friendly, experienced labor, no matter who comes to provide dishwasher repair service. Below you’ll find some examples of brands for which we provide dishwasher service and replacement dishwasher parts. We also provide other domestic appliance repair services in Lincoln and beyond, in addition to the major appliance repair services we’ve highlighted above. We service brands like Hotpoint, U-Line, Roper, Jenn-Air, Scotsman, and more. Our small appliance repair service includes wine cooler repair, built in coffee maker repair, microwave repair service, KitchenAid mixers, with thousands of kitchen appliance parts to solve your individual problem. And if we haven’t listed the make or type of unit you are looking to receive appliance repair service on, just give us a ring and we can advise you on whether we can help you out or not! The odds are we will certainly be able to do so. Whether you are in need of GE appliance parts, Kenmore Parts, KitchenAid parts, or even something as specific as LG refrigerator parts, you should know that Andy’s Appliance Repair has over 10,000 appliance repair parts in stock. Our parts department makes a point to actively inventory the most commonly used parts for both old and new appliances. That means we have access to the parts people need. But, if for some reason we don’t have the exact part that you need, we can usually order it and have it ready to go within 48 hours. For more information about our dishwasher, washing machine, stove top, and dryer parts we have available here at Lincoln’s largest appliance service center, visit our appliance repair parts page here! As we’ve mentioned above, we’ve been in business for nearly half of a century. Being family owned and operated, we’ve come to feel a deep connection with our Lincoln community. As a testament to that fact, we’ve made a point to be involved in Lincoln opportunities for social good. For example, we run a Food Drive for the Lincoln Food Bank every October before the holiday season. And every June we make a matching donation with the audience at Friday Nights Live at SouthPointe Pavilions for the CAC, Child Advocacy Center of Lincoln. In the past, we have also been involved with helping the Lincoln Food Bank for a month-long food drive. We love doing our part to help out those in need in Lincoln. At the end of the day, you want to be with a Lincoln appliance repair company that you can trust. On top of that, affordable prices and high-quality, efficient work are a huge plus. You can get all of that and more at Andy’s Appliance Repair & Parts House, so schedule your online appointment right now to receive same day service! For All Appliance Repair – We’ve Got You Covered!